Looking for a way to bring perfect balance to your home? Call the professionals at Thorne Plumbing, Heating, and Air Conditioning for your next purchase and install of comfort controls. Thorne is an authorized Lennox dealer, so we have a variety of different comfort controls to fit any homes need. Check out one of Lennox’s iComfort Wi-Fi Touchscreen Thermostats, Digital Thermostats, or a Zoning System. iComfort Wi-Fi Touch Screen Thermostats are Lennox’s most innovative programmable thermostat, which allows you to monitor and adjust your home temperature from virtually anywhere. 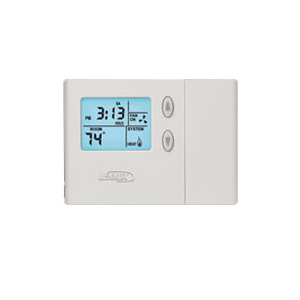 Lennox offers a variety of digital and programmable thermostats, all of which are designed to maximize the energy efficiency of all of our Lennox heating and cooling systems. Zoning systems are a great way to save money! Zoning systems save you the expense of heating or cooling the areas of your home that are rarely used. Whether you are looking to update your thermostat or looking for a completely new install, the professional technicians at Thorne Plumbing, Heating, and Air Conditioning are here to help you! We would be happy to sit down with you and help you decide which comfort controls are best for your home. Not only that, but we’ll also complete the installation of your new comfort controls. Give us a call at 740-452-8217 or 888-452-8217 today for more information!